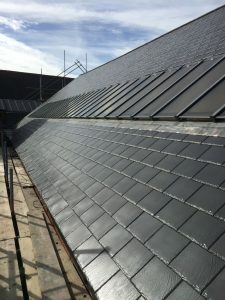 Jennings were appointed Main Contractor to Re-roof the rear existing council offices. 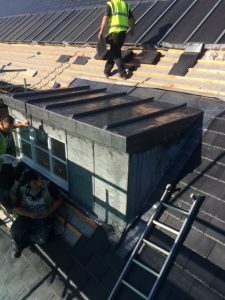 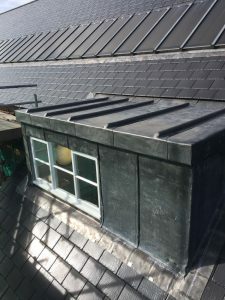 Once the scaffold was erected the existing asbestos slate roofs were removed by a fully licensed ARCA Contractor. 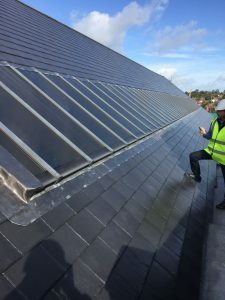 Particular care had to be taken when working around the large bank of glazed windows fixed in one elevation of the roof and were not down for replacement. 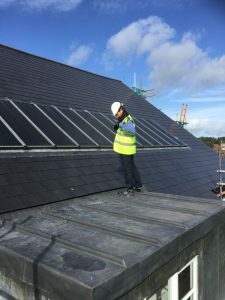 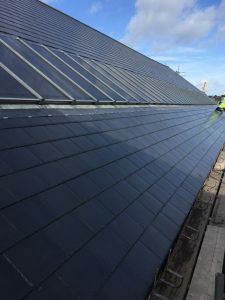 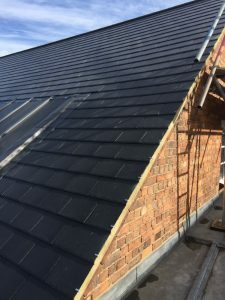 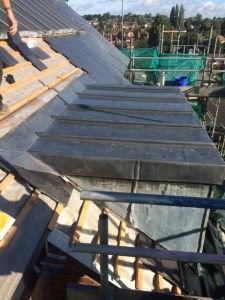 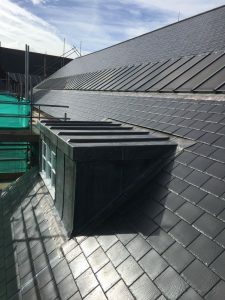 Once stripped the roof was fully insulated and coverings put back using Redland Cambrian Slates including the renewal of all Rainwater Goods and Leadwork. 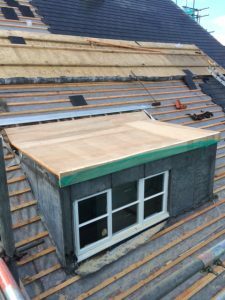 A local decorating contractor was appointed to refurbish the windows to all elevations. 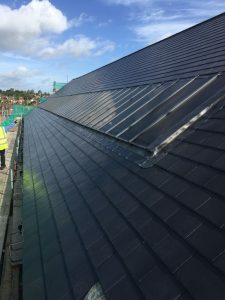 The contract was completed within an 8 week programme.